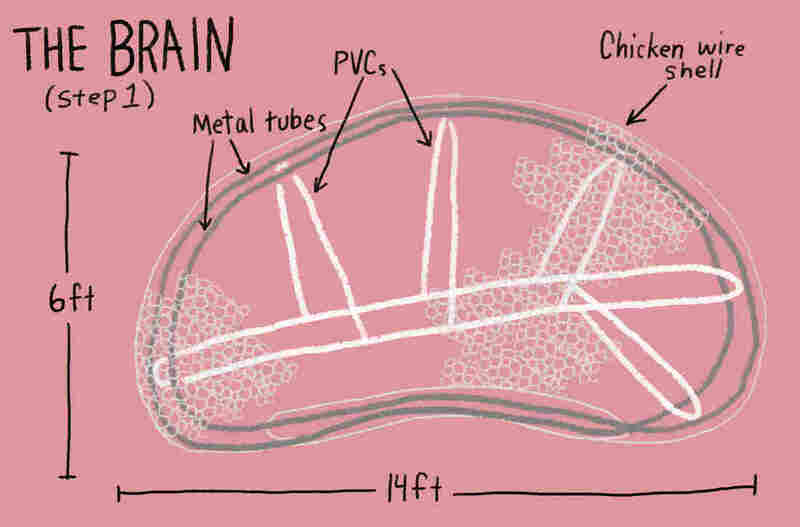 Kinetic Sculpture Race: Middle School Club Tackles A STEM Brain Teaser : NPR Ed How do you pedal a 200-pound pink brain — made of rubber, foam and steel — up 45-degree hills, through thick mud and water without breaking? These middle schoolers have eight months to figure it out. First in a three-part series. You can read Part 2 here. When things heat up, they expand. And when that thing is the axle shaft to your drive train, you're going to have to make adjustments, or else. Michael Guarraia kneels down next to a metal part that just popped off the rear axle. "OK guys, listen up," he tells his team. "The drive train broke again and we need to find a sustainable solution. This can't happen during the race." The team members nod and furrow their brows. Some scratch their heads. In front of these young engineers is the 200-pound steel frame that is the base of their racing vehicle. One gets up close and points to the piece that popped off. 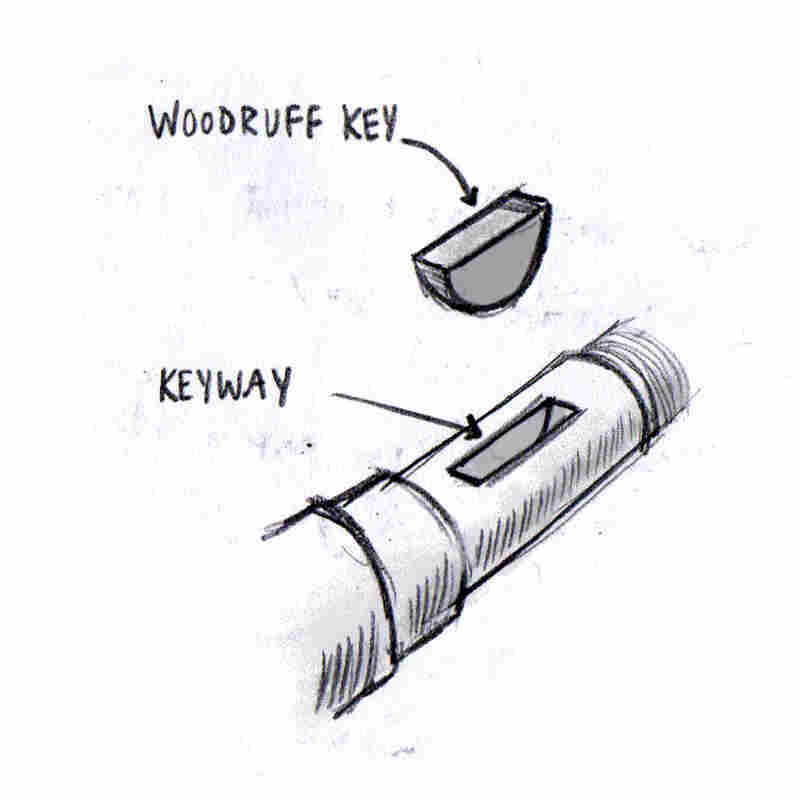 It's called a woodruff key. "We need to reinforce this," says Sean Davis, sketching his idea on a small white board. "Maybe with magnets?" Heads nod in agreement. "We could use duct tape, here," Aiden Blair adds. They all look at Guarraia for an answer. Good ideas, he tells them, but even with those fixes it still won't be stable enough. And they were good thoughts, considering the "guys" are 11- to 13-year-olds, and this is middle school. Welcome to Kinetic Club at Arbutus Middle School. Guarraia is a science teacher at the suburban Maryland school, about a 20-minute drive from Baltimore. He and two dozen students are on an eight-month mission to design and build a human-powered kinetic sculpture that they're going to race in the Kinetic Sculpture Race, a 15-mile obstacle course around Baltimore Harbor. What, exactly, is a "kinetic sculpture"? Basically it's a giant piece of art that contains movement within it. 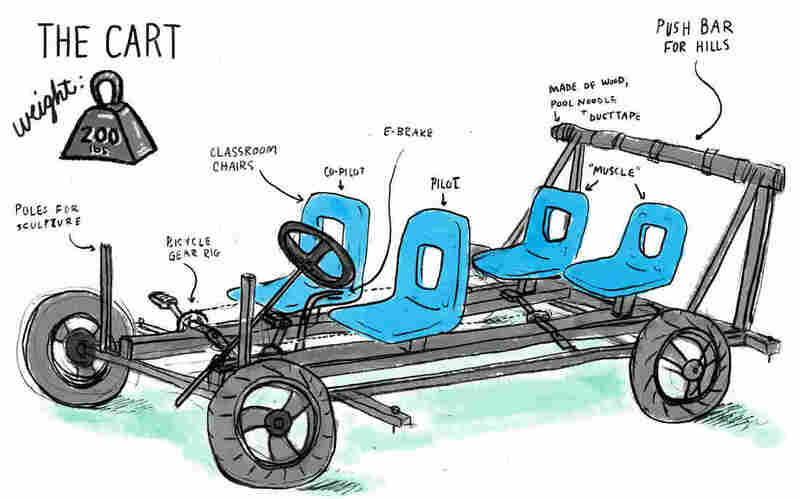 It can be powered by people only — no motors allowed — so the designers have to get really creative. Guarraia and his team agreed to let NPR Ed hang out with them as they built their vehicle and raced it. The drive-shaft crisis came in March. By this time they'd been working after school on their design for six months. It was supposed to be a big day — the first day of test-driving — but the woodruff key popped out, causing the bike chain to slack and fall off. The vehicle can't run like this, so it's back to the shop. But "Mr. G." and the team have come a long way since Day 1. Let's go back to the beginning. Brigid Flynn, eighth grade, wants to be a graphic designer or a surgeon one day. She joined the Kinetic Club to see her ideas come to life. Brigid Flynn, a tall, red-haired eighth-grader, pushes her way through the end-of-day chaos in the hallways. She speed-walks past locker bays and trophy cases to room 118 — Mr. G's classroom. 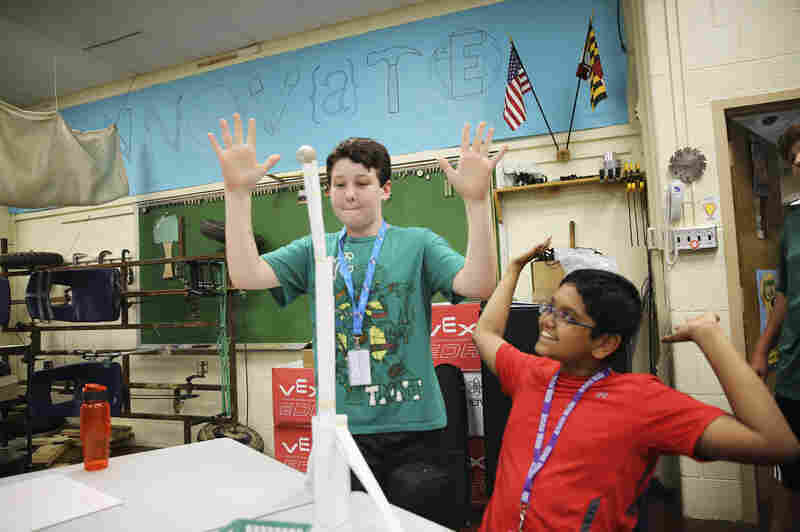 Sean Davis (left) and teammate Ryan Thomas watch as their paper tower begins to fall. Today is the first day for the Kinetic Sculpture Race team. This is her favorite after-school club and her last year to be a part of it. Next year she'll go to Catonsville High School. Last year, the Arbutus team's sculpture fell apart mid-race, so Brigid is determined to make this the best year yet. "I hope we don't run into a pole this year," she says. At these early meetings, the group is doing exercises to get their minds "thinking kinetically." Mr. G gives them an engineering challenge: Build the tallest paper tower that could hold a golf ball. Then, a design challenge: Invent a hybrid animal that can endure all the elements their vehicle will go through. They've decided as a group that their project this year will focus, somehow, on life in middle school. And the theme of this year's race is: urban myths and monsters. 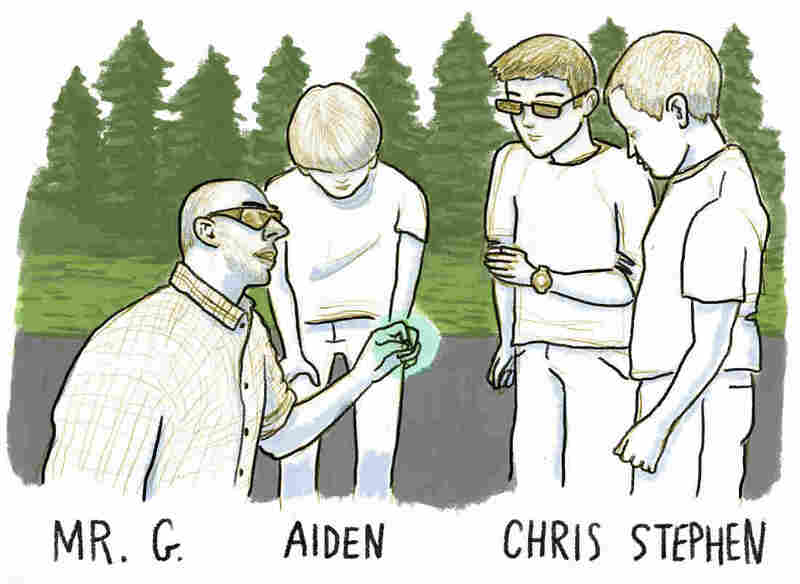 So they form groups and zoom in on elements of middle school that might work. Most of the students don't know each other yet. Most are in sixth grade and this is their first year at Arbutus Middle School. But Guarraia is optimistic this year because he's got a core group of veteran eighth-graders like Brigid who have raced before. He's hoping the older students will mentor the younger ones. Mr. G. started the club five years ago, after attending the race with his wife. Back then, the competitors were mostly adults with big budgets, but he thought it could be a great project for his students — a way to teach math, science and engineering concepts using hands-on, project-based learning. Science teacher Michael Guarraia, or Mr. G, has led the Arbutus Middle School kinetic sculpture team across the finish line for the past five years. He persuaded his principal to let him try it out and enlisted two young art teachers, Danielle Imhoff and Maria Calvin. They wrote a pitch to get kids interested. Seven students joined that year, and the next year a few more. Word spread. This year there are 24. Samantha Kim, a shy sixth-grader, signed up this year when she heard it was really fun. "I've never done a club before," she says. "Mr. G. is one of my favorite teachers." Samantha Kim, sixth grade, wants to play pro soccer when she grows up (#winner.) She joined the Kinetic team to learn something new. Today is the annual "Boo-Bash," the fall dance at Arbutus MS. But most of the club members came to Kinetic instead. Why aren't they at the dance? "We have a lot to do." "I would rather come to Kinetic ... it's more fun." "Dances are boring." They've made a big decision about the design. They've decided to combine everyone's ideas into one, by placing them on a giant brain. They're calling their sculpture: Monsters Of The Middle School Brain. Each student has a role. The engineering team is working on the structural elements, while the art team is designing the puppets that will represent the monsters. Sean Davis and Harry Dash goof off. The students are starting to make friends. 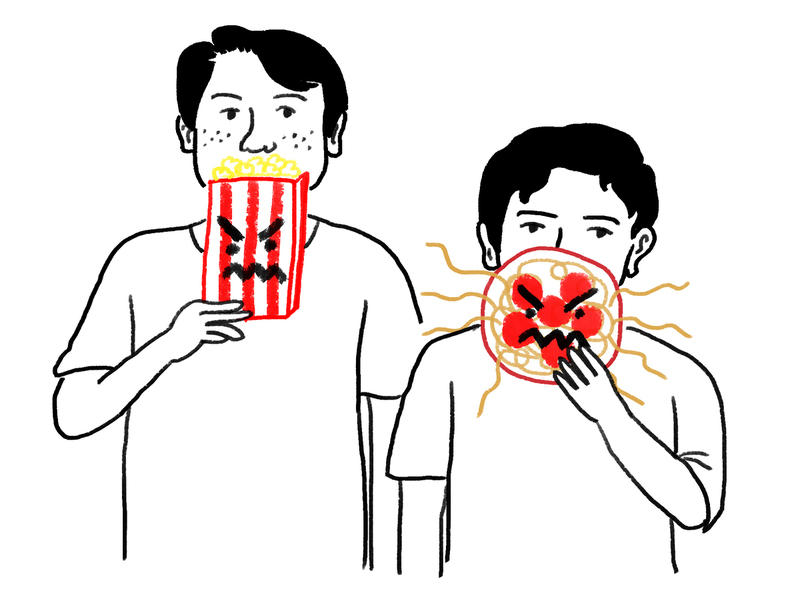 Two boys, Sean Davis and Harry Dash, are working on their monster together. "It's a food fight," Sean explains. "This is a spaghetti monster, and this is a pizza monster, and here is the salad," adds Harry. "They will all have evil eyes." Brigid is working on her monster with eighth-grader Claire Doll and two sisters, Grace and Abigail Morris, who are in grades eight and six. 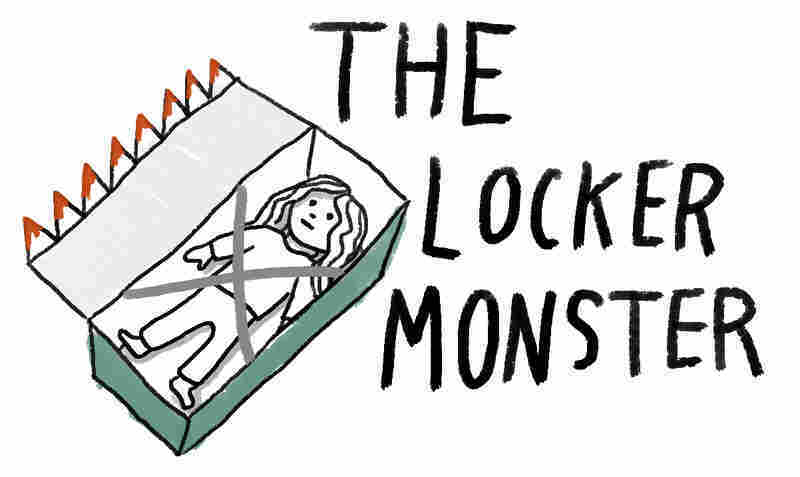 "It's a locker monster," Brigid says. "In the classic bullying tales, the bully shoves a kid in the locker." Claire has brought in her sister's American Girl doll, and they are going to cover it with red paint and duct-tape it into a cardboard box in the shape of a locker. "We'll be able to move the door open and shut so it's kinetic," Grace adds. In another room, the engineering team is bending metal tubes with a pipe-bender tool. It's a tough job because, well, they are still small boys. Nathan Hoffmaster, one of the engineers, runs back in to find Mr. G. "We broke it," he says, lifting a mangled metal tube. "Is that the only one?" Mr. G asks. "Yes. It's really hard. We need your help." This is how the club seems to go. The students come up with ideas, check with the teachers that the ideas are plausible, find the supplies they need, and then they try to make it work. The ideas don't work a lot of the time. And that, says art teacher Danielle Imhoff, is the point: "We try to stay pretty hands-off." Sean Davis, sixth grade, wants to be an astrophysicist when he grows up. "Specifically, the director of NASA, like Ed Harris in Apollo 13," he says. He joined Kinetic to learn how to engineer a vehicle. The engineering team is in the hallway, where Mr. G is giving a heavily supervised lesson on welding. They're welding together the steel tubes that will form the inner framework for the brain sculpture. They are wearing black protective helmets. Mr. G talks them through the process. 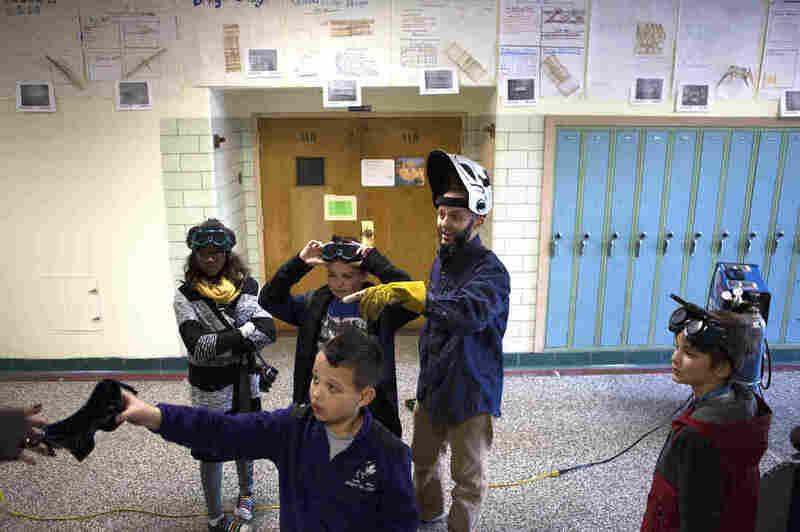 Mr. Guarraia and students wear protective gear before welding part of the sculpture's frame in a hallway at Arbutus Middle School. "The joint created by fusion is stronger than the metal itself," he tells them. The kids stand back as sparks fly. They are intrigued, but a little scared. One kid stands guard so no one walks by and hurts their eyes by staring at the UV light. Inside the classroom, Samantha is painting her monster, "The Tick-Tock Clock." She says she created this monster to represent how our lives can be controlled by time. "You know how it's a race against time? Well, I can't wake up in the morning, and I know that's one of the reasons people get stressed, is a lack of time," she says. Later, Mr. G addresses the team. "Whatever particular project you are working on, I want to know your status and if there is anything you might need from me," he tells them. Harry Dash, sixth grade, wants to be a scientist when he grows up. He joined the club to make things go. 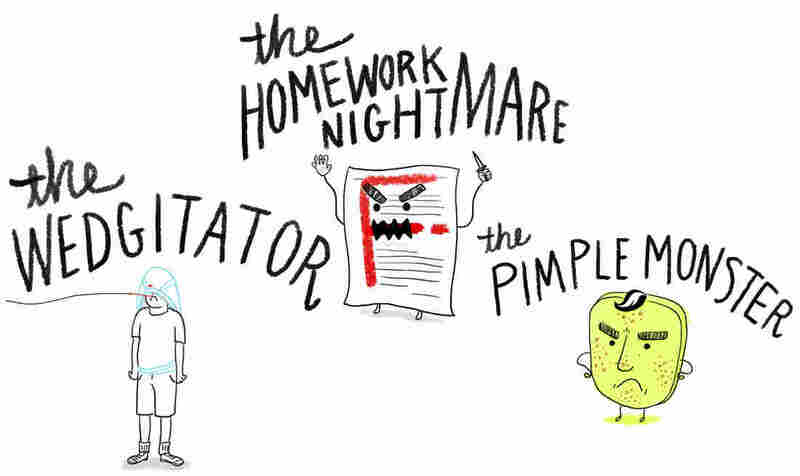 They are more than halfway through the school year and everyone is feeling the pressure. Harry Dash is fired up, "We're the food fight and we've got a whole bunch of food items ready to go." That's great news to Mr. G, but he knows there is a lot more work to do before they can start to test-drive. Tomorrow: As race day approaches, the Arbutus club is coming together as a team.